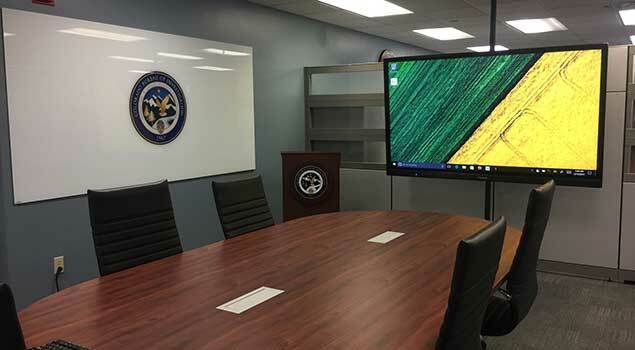 Colorado Bureau of Investigation - System Technologies Inc.
Colorado Bureau of Investigation received many digital signage displays, as well as three full conference rooms. These conference rooms consist of two 100-inch diagonal touch screen projection system that also doubles as a white board for low tech meetings and one 80” interactive TV. All with wireless projection.